I can't remember when but did you guys get that hype about Amalina wearing tights in skin colour and it looked as if she didn't wear any pants? That got me get back in touch with Amalina and regardless of her choice of attire - she didn't deserve such a negative backlash from Malaysians. Anyway, guess what, this amazing girl is now pursuing her training to become a surgeon in London. Not only that she is going to train to become a breast oncoplastic consultant surgeon. Idolaaaaaaaaaa. Introducing Charlie - my idolaaaa in Supernatural. For me, she is one of the great examples of a truly accomplished woman from Malaysia. She put herself out there, fearlessly, achieving more and more, and that is just so inspiring. 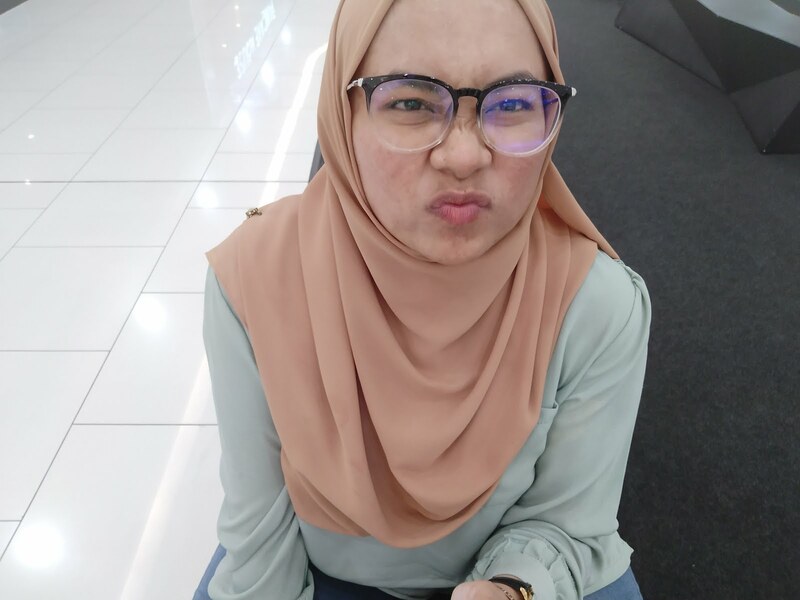 It was rather exciting to see her updates her on Twitter and Instagram (which she only makes it earlier this year, trust me, I know) and this week, she had been chosen to become the curator of @twt_malaysia. She brought some quite interesting topics which include equality in the workplace and most recently, awareness on breast cancer. 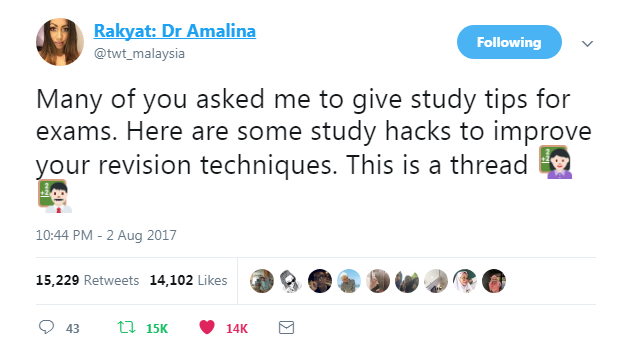 Yet what I'm gonna share today are her amazing tips to study for exams. I rarely do posts like this where the content wasn't mine a.k.a not an original content. I actually despise doing such things and wanted to do original work instead. But this gonna be an exception because the tips are just precious for me not to share, I mean she does get 17A1s and now is becoming a surgeon. But, in respect of the content not being mine - I'll share screenshots only. To read the tweet on Twitter just click HERE. I know you can't see it clearly so just open it in new tabs. That is all from me folks. Now let me have my runny nose in peace. She is such a brilliant girl.